Late frosts are a constant worry for the fruit grower, for example, Strawberry flower buds and fruit are susceptible to frost injury any time after bud break (-1ºC or lower). Frost damages the centre of the flower with the centre turning black while the petals and leaves appear uninjured. The blackening occurs within a few hours to one day after the frost. Frost can also damage the developing fruit, deforming the berries. 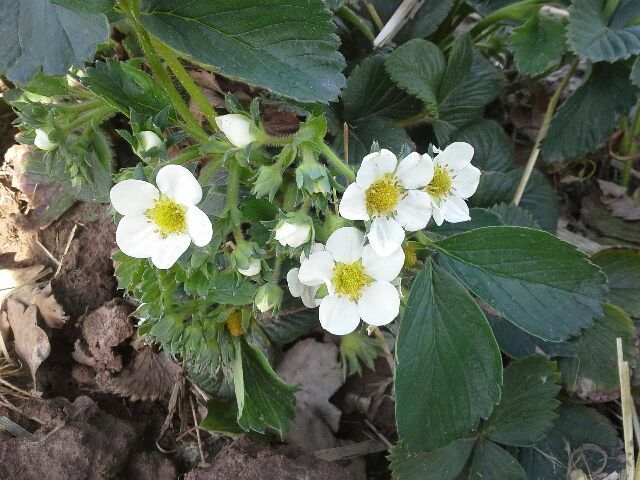 Frost injury rarely causes complete crop loss because the strawberry plant produces flowers over a two to three week period. But in other flowering crops such as Apples and Pears losses can be catastrophic. 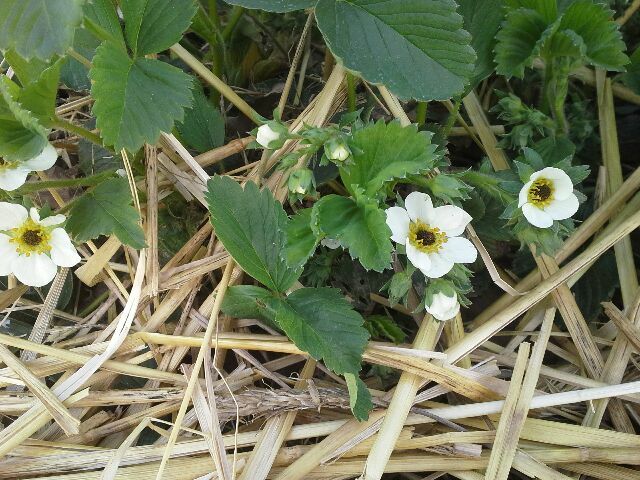 Untreated Strawberries 4 days after -3oC frost. Growers have traditionally used methods such as lighting fires overnight in flowering orchards or irrigating to prevent frost damage. At AminoA Biostimulants we have carried out many trials using amino-acids to remediate frost damage in crops such as Lettuce and Strawberries. But we are now confident that using AminoA PLUS or PRO immediately before a frost event in flowering crops will minimise or eliminate crop damage. Treated Strawberries 4 days after -3oC frost. Amino-acids, especially Threonine, Proline and Glutamic acid, act like natural anti-freeze and reduce the freezing temperature of the cytoplasm and also facilitate osmosis to enable water molecules to move into the intercellular space, where freezing is less damaging than than intracellularly. They are also the building blocks of AFP ( anti freeze proteins) which some plants are able to manufacture. 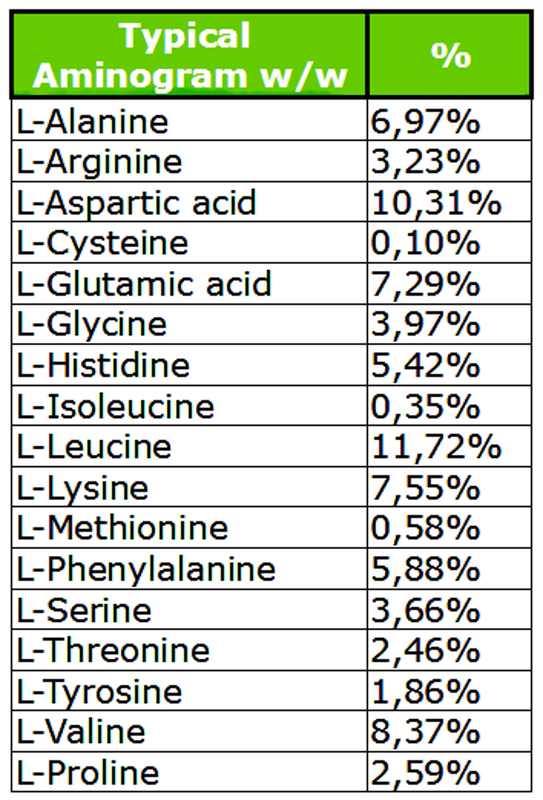 AminoA PLUS and AminoA PRO contain very high concentrations of amino-acids ( 84-86% total amino-acids in the L form). Apply 3.5 kg ha AminoA PLUS or AminoA PRO to flowering crops in 2-500 litres of water (to run off) before a anticipated frost event. ( If possible apply at least six hours before frost and allow foliage to dry). In the absence of heavy rain protection should be extended for up to seven days. If frost risk persists repeat after seven days. I was given some AminoA Plus at the end of April when we had some frosts forecast. The garden is in North Yorkshire near Thirsk. I used it on a Morello Cherry growing on a north wall that was in full blossom and on apples in my small orchard that were in blossom. I also sprayed my damson and plum tree. These had just about finished flowering, but I sprayed in a hope of protecting the embryo fruitlets. I sprayed at 70g to 10 litres (3.5 kg ha) of water to run-off point in late afternoon. Over the next two nights it was very frosty and I recorded -6oC in my garden on a max-min thermometer. For your info, it was a dry frost which I assume was down to the fact we'd had no rain for several weeks and the ground and air were very dry. I only sprayed the once and it's obviously worked as the fruit set on the cherry and plum tree is the heaviest we've every had. The apples are also good, although this year we didn't get as much blossom as last year. Martin Fish is a well know UK gardening writer and journalist who also presents gardening programmes on BBC radio.